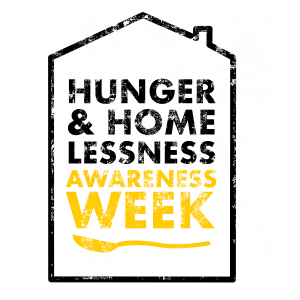 UCF faculty, staff members and students are invited to participate in National Hunger and Homelessness Awareness Week, November 13- 19, 2017. The event will include a week long donation drive, interactive educational events, powerful speakers, community resources and impactful service projects focused on hunger and homelessness issues. 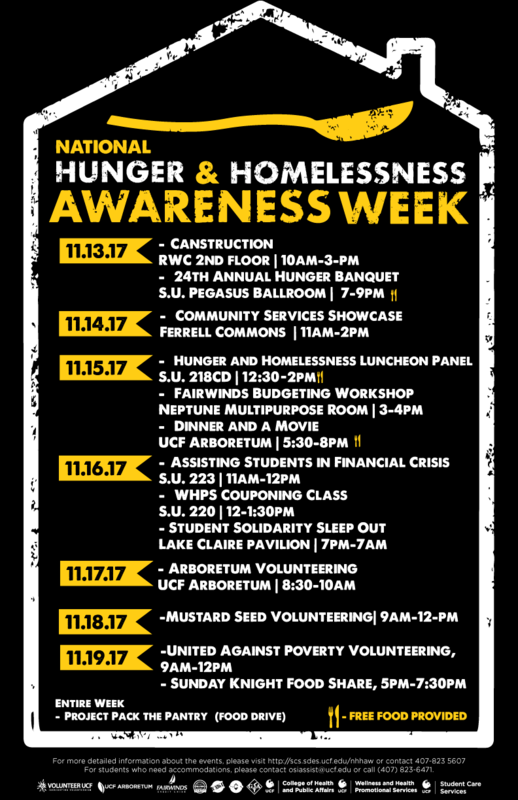 The National Hunger and Homelessness Awareness Week is in collaboration with Volunteer UCF (VUCF), Graduate Student Association (GSA), Knights Helping Knights Pantry and various campus partners. The events are worth up to 1,000 LINK Loot points and qualify as LEAD Impact events. More details at: https://scs.sdes.ucf.edu/nhhaw  or the UCF Cares Facebook . For additional information contact: Angela Newland, Student Care Services, angela.newland@ucf.edu .